Porcelain Veneers in Tijuana are the best solution to restore one or more teeth that have experienced an accident or some damage due to decay. Some oral injuries may need immediate treatment, while others can wait until normal business hours. We want our patients to feel better as soon as possible, which is why we provide same-day emergency porcelain veneers. We will try to book you up as soon as possible. Some common types of mouth injuries include cracked, broken, or knocked out teeth. It can be a result of biting on a piece of food that is too hard, a sports-related injury, a fall, or any other type of accident. You must have healthy teeth and gums to qualify for dental veneers. Patients with conditions such as tooth decay, gum disease, and root canal infection typically do not qualify for veneers. Porcelain Veneers are thin laminates of no more than 0.5 millimeters in thickness, placed on your teeth with minimal preparation or effort.They’re placed away from the gums to avoid retraction, and both the look and functional results are optimal in the long run, allowing patients to recover their natural smile.Dental veneers match the color of your existing teeth or a lighter shade you desire. Porcelain veneers are used to close gaps between the teeth, correct stains and even repair broken or chipped teeth.During the visit, our dentist will carefully prepare and contour the teeth.We will take an impression of the teeth so as to create the veneers. the veneer is bonded to the tooth. Once it is done, you can quite easily forget that something was done to your tooth. Your teeth will feel as good as new. Porcelain veneers are a permanent procedure, our dentist needs to change the structure of your natural teeth to place them properly.In this way, the outer layer of your enamel may be removed to make room. Need some professional dental Help? 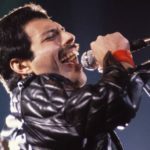 Did Freddie Mercury’s Teeth Make Him Sing Better? © 2019 , TRUST DENTAL CARE. All Rights Reserved.